JKwon was born in Andong, South Korea, where he graduated in 2007 at the Kyungpook National University in Taegu. In 2007 he received a scholarship for a specialization at the International Music Academy in Rome, where he graduated in 2009 and obtained another scholarship from the Paolo Montarsolo Foundation. In 2011 he graduated from the Accademia dell’opera for young singers at Milan’s Teatro alla Scala. 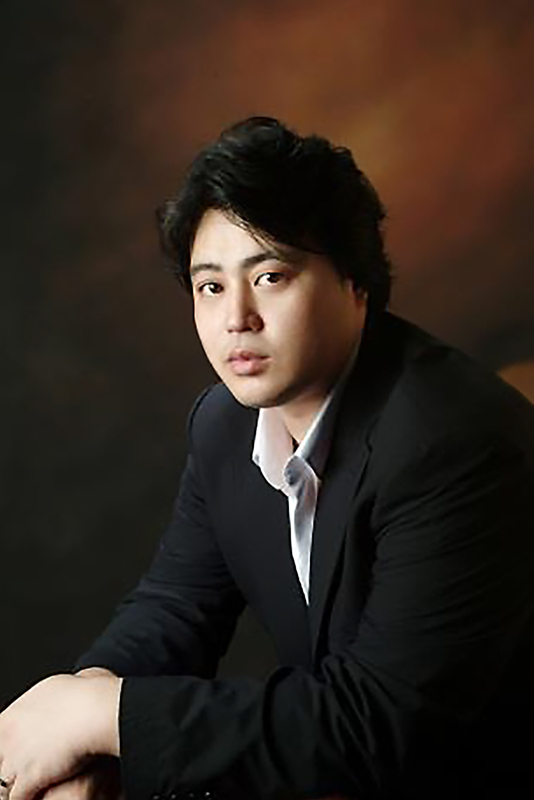 In 2009 JKwon was awarded the special prize at the International Competition Francesco Albanese of Naples, in 2011 the special prize of the contest Stella Maris in Germany, in 2012 the first prize at the International Competition Giulietta Simionato and in 2013 the special prize at the Premio Etta Limiti Opera. As a solo artist he sang in Beethoven’s 9th Symphony with the Orchestra and Chorus of the Teatro San Carlo in Naples and Schumann’s Faust-Szenen with the Orchestra and Chorus of the Teatro alla Scala conducted by Pinchas Steinberg. In 2010 he was part of the evening in honor of Giuseppe di Stefano at La Scala Opera House and sang Don Eusebio from L’occasione fa il ladro by Rossini, an academy project at the Teatro alla Scala, in the historic setting of Jean-Pierre Ponnelle, directed by Daniele Rustioni. At the Scalain 2011, he took part in Turandot by Puccini, in Gounod‘s Romeo and Giulietta, in La donna del lago by Rossini, as a cover of the Italian Tenor in Der Rosenkavalier and Rodolfo in La Boheme by Puccini. During this time he worked together with Valery Gergiev, Yannik Nezet Seguin, Roberto Abbado, Philippe Jordan and Daniele Rustioni. In 2011 he also sang under Gustavo Dudamel during the Tenth Anniversary of the Accademia del Teatro alla Scala celebrations. From 2010 till 2012 he also performed in venues such as the Berlin Staatsoper Unter den Linden, the Bolshoi Theatre in Moscow, the St. Petersburg Philharmonic, Pompeii Roman Amphitheatre, Teatro Regio in Parma, Auditorium Ravello, Athens National Theatre, Madrid, Hongkong and Dublin, amongst many others. In 2013, he sang in Aida in Tokyo and also at the Teatro alla Scala, conducted by Gustavo Dudamel and Gianandrea Noseda.